The body of an Ohio State University football player who apparently committed suicide will be examined for signs of brain injury, the coroner’s office told ABC News today. Kosta Karageorge’s body was found in a dumpster on Sunday, dead from what appeared to be a self-inflicted gunshot wound, police said. The preliminary cause of death is a gunshot wound to the head, Franklin County coroner Anahi Ortiz said. Before his death, the 22-year-old football player reportedly texted his family to say he was confused because of concussions. William Barr, director of neuropsychology at New York University’s Langone Concussion Center, told ABC News that confusion as a concussion symptom usually only lasts between seven and ten days. It’s possible Karageorge was actually suffering from depression or another mood disorder and misattributed it as confusion, Barr said. “I think that the fact that this man had sustained some injuries … could put him in a state where he’s prone to depression,” he said. Suicide is, however, a symptom of chronic traumatic encephalopathy, a degenerative brain disease that has been linked to repeated head trauma. CTE can not be diagnosed until an autopsy is performed. 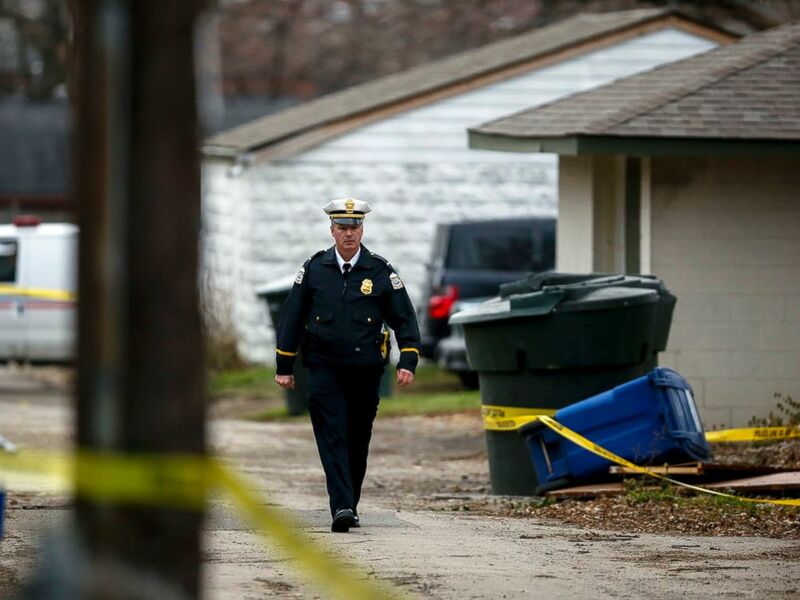 PHOTO: A police officer walks through the alley near 6th Avenue and Cortland Avenue in Columbus, Ohio where the body of missing Ohio State football player, Kosta Karageorge was discovered in a dumpster on Nov. 30, 2014. Barr pointed out that he does not know the specifics of Karageorge’s medical care. Buckeyes team physician Dr. Jim Borchers declined to comment on whether Karageorge had been treated for concussions. The linebacker was last seen alive early Wednesday. During the search, Karageorge’s mother Susan told police her son had suffered several concussions, according to a police report obtained by The Associated Press. She told police her son texted her early Wednesday, citing the concussions and writing, “I am sorry if I am an embarrassment,” the AP reported. The athlete’s sister Sophia Karageorge also referenced the concussions in an interview with The Columbus Dispatch, telling the newspaper the family was worried that Kosta was still disoriented from a concussion she said he sustained about a month ago. “Every time he’s had a concussion, he’s been evaluated and listened to his trainers,” she told The Columbus Dispatch. “He’s been properly taken care of by OSU the entire time he’s been an athlete for them. “But … his repercussions from them have been long-term or delayed later after the fact,” she added. If Karageorge’s brain is intact, scientists will be able to study it to learn if he suffered from CTE. Evidence of that link has come from research into the suicides of professional football players, among other studies. Former Chicago Bears star Dave Duerson killed himself in 2011 by shooting himself in the chest and sparing damage to his brain. He left behind a note requesting his brain be sent to the brain bank for study. NFL linebacker Junior Seau also committed suicide by shooting himself in the chest, although he did not leave behind a note. After Seau’s death in 2012, a study of his brain found definitive evidence that he suffered from CTE.